The artistic notion of the ‘death’ of painting needs little introduction. It has shaped the course of twentieth century art, and affected the lives and practices of millions of artists in fundamental ways, but the model of the human mind upon which it implicitly rests is no longer considered to have useful relevance in the twenty-first century. Cognitive science and evolutionary psychology have concluded that the mind is not a blank slate but content-rich at birth, and as such humans bear an array of innate expectations of reality and non-reality, many of which apply as much to the artform of painting as they do other cultural behaviours and expressions such as religion or music. 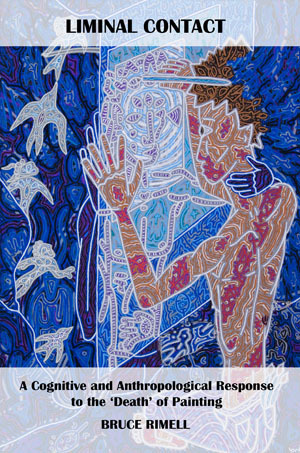 This eclectic and creative thesis takes in a diverse series of case studies tracing the prehistory of painting in light of these cognitive propensities, from the beginnings of human culture in Southern Africa to abstract designs and hand-prints in the Palaeolithic caves, from Bushman rock art depicting swift-people to the reported experiences of painters living today, to uncover a perennial and foundational function for painting which cannot die: the ubiquitous sensation of an ‘otherworld’ beyond the surface of the canvas or rock face. This simultaneously new and ancestral approach to painting demands a rehabilitation of the medium as both a humanising self-expression and as beyond-the-self exploration in a modern art context increasingly estranged from the wider world. 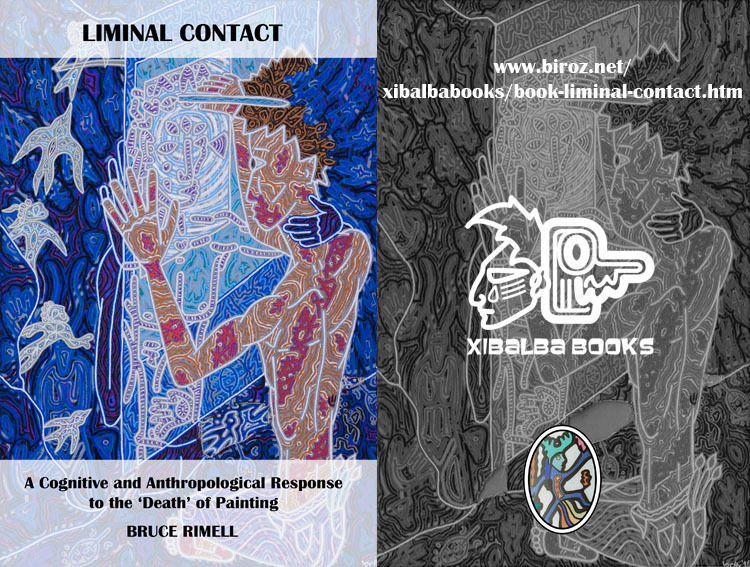 Painting as ‘Liminal Contact’ seeks to abandon artistic ideologies and limiting art theories of what is possible in favour of a direct image-based communion with human nature. This is the second in a series of explorations towards a more holistic system of thought, perception and experience, entitled Visionary Humanism.